Fill out this form for a no-obligation security analysis. Compare and save from top security companies! The SecurityGuide.com crime reports analyze data from the Uniform Crime Reports which are annual nationwide assessments of reported crimes. There are over 18,500 agencies that participate and contribute to these reports directly through their state reporting programs. 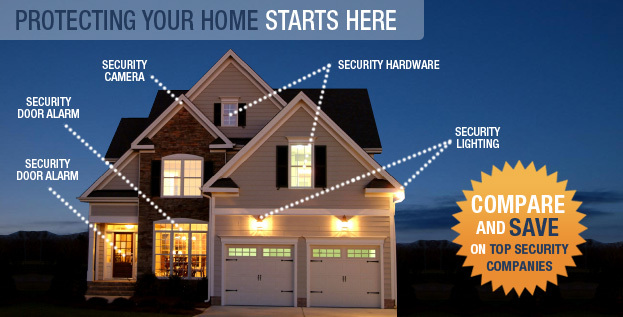 With the advances in technology of criminals, your home and your family are at risk without a home security system. A home security system can keep your home and belongings safe while you are away but more importantly, a security system can keep you and your family safe while you are home. By understanding the crime reports that SecurityGuide.com analyzes, you can make assessments of what type of security will be a best fit for your area. In addition, you can make educated decisions on lifestyle choices such as: is it safe to leave your kids unattended outside or is ok to leave your car doors unlocked outside your home or apartment. Taking the time to understand these reports can mean a world of difference for your family and help you prepare for any possible risks in your area. Most business owners tend to think that, "it won't happen to me." This is one of the most dangerous statements that can be made because that business owner hasn't taken the preparation needed to secure their employees or their business assets. All business owners should review the crime reports that SecurityGuide.com analyzes for their area. With an understanding of the area and the previous crime, it will help you protect your business. Don't be the business that loses everything because an arson set fire to your building, or an employee or outside person broke in to steal your valuable business assets. Select your state below to see all of the city crime reports in your area.